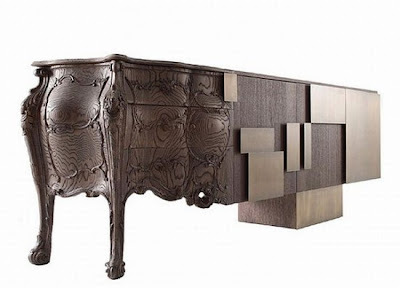 Ferruccio Laviani created the contemporary table for Italian furniture manufacturer Emmemobili with beautifully oak wood hand-carved from and called Evolution Dresser. This combine the past era and the contemporary ideas of fresh things. 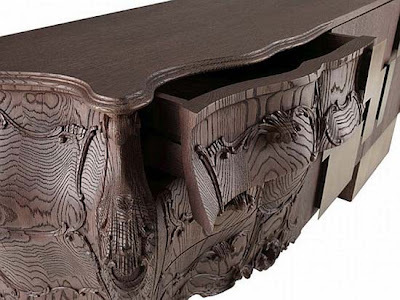 The conventional side conserves a high detailed carving on every inch it holds, and to balance it up, the progressive side offers a linear intelligent design that adds a bit of modern.